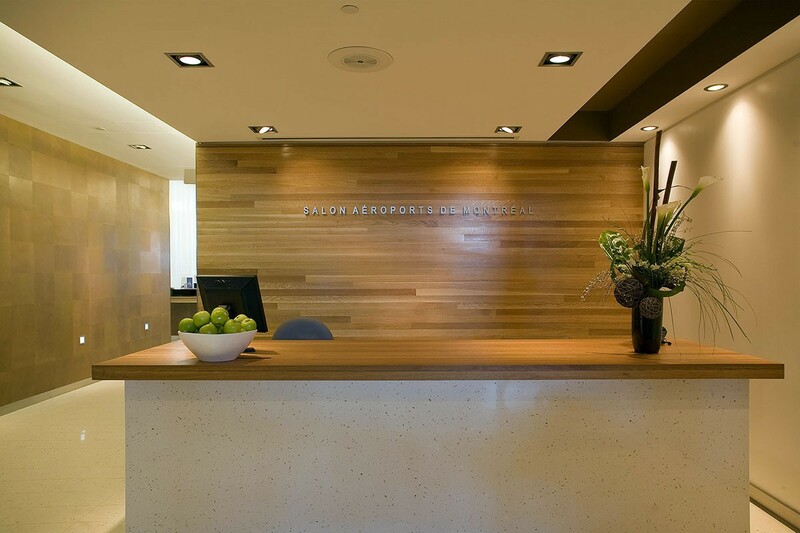 Situated in the International Terminal, the VIP lounge at the Montreal Pierre-Elliot Trudeau International Airport provides travelers a serene retreat from bustling air travel while providing exclusive amenities. The atmosphere is defined by a play of light, space, and the natural textures of wood and leather accentuated with glossy white. 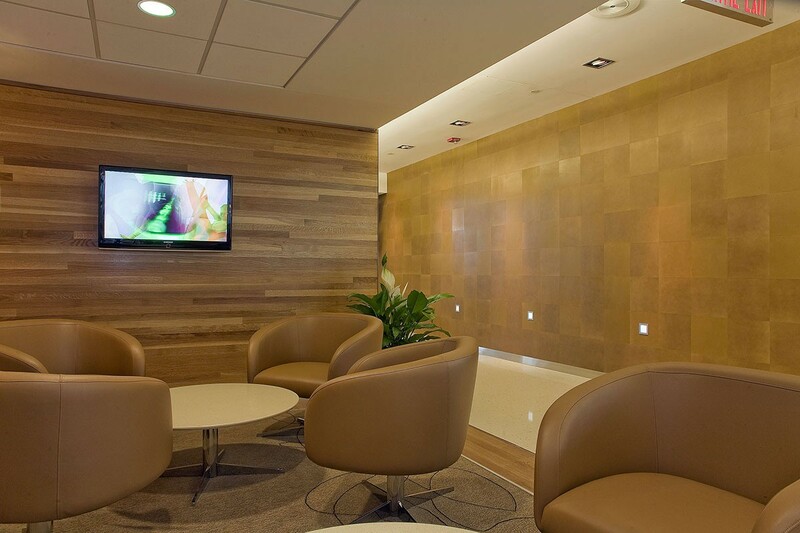 A custom wall installation of Floor Tiles in a natural, warm leather hue cover walls at the entrance as well as within the café. 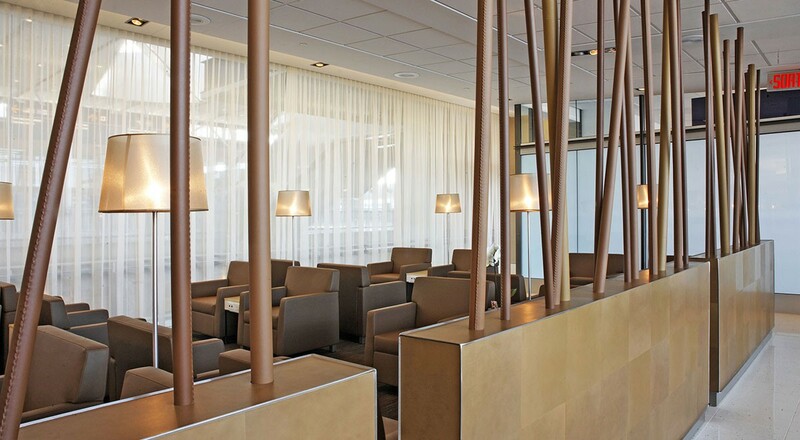 Providing space separation between the café and a seating area, a partition creates a striking focal point. 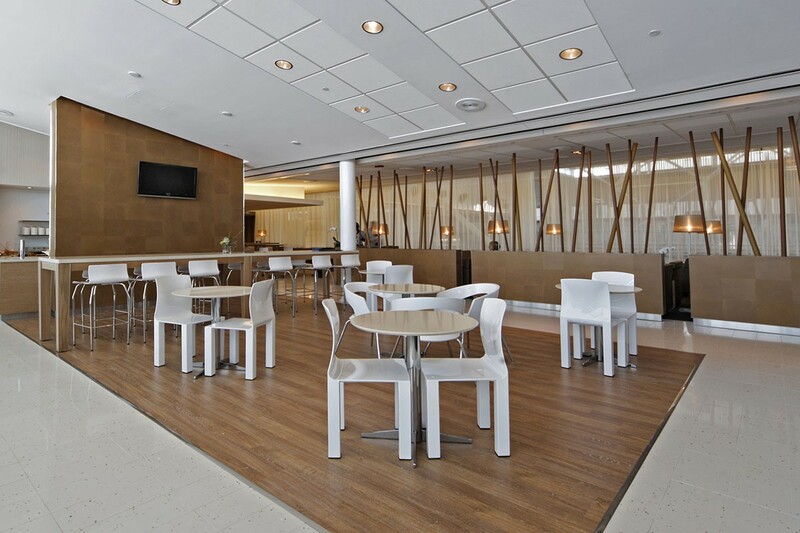 This half-height partition is covered with Floor Tiles and Flat Wrap Handrails extend above. These handrails with pinch stitching are oriented vertically at varied angles creating dramatic patterning in three natural, naked leathers. For more information, please visit the Flat Wrap Handrail or Floor Tiles (FT) product pages.